PACKAGES: We have a number of Yoga Retreats. Try our Yoga & Adventure, Yoga & Rejuvenation, Yoga & Surfing, or Pure Yoga. For more info visit Anamaya Retreat Packages (ARP). We are happy to have Naheed Radfar as our guest yoga teacher for this week. WORKSHOP: An Ultimate Fitness, Acrobatics, Acroyoga Workshop will be available this week for our guests. Naheed Radfar is thrilled to announce her second annual Retreat at Anamaya Mind, Body & Spirit Resort in Montezuma, Costa Rica. Join us for a week of pure strength, movement, flow, play, and ultimate acrobatic finesse as we invigorate, restore, strengthen, and align the body, spirit, & mind. The price for this special workshop is $295. Please see more details below. 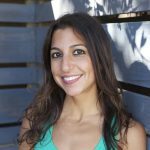 Naheed Radfar is an impassioned teacher and practitioner of multiple modalities in fitness, yoga, and acrobatics. She is the founder and creator of Heed Fitness, a Los Angeles based company offering specialized instruction, personal training, and related services through its multi-disciplinary approach to fitness and functional training, yoga and acrobatics, holistic health, and balanced living. Naheed has over 18 years of international teaching experience across various disciplines, having taught extensively throughout major metropolitan cities in the US, Southeast Asia, South Africa, Europe, and Central America. She has worked with premiere health clubs like Equinox Fitness and Richard Branson’s Virgin Active Health Clubs, upscale yoga studios, revered rehabilitation and recovery facilities, and scenic beach and park venues. She maintains an active teaching schedule to group and private clientele throughout Santa Monica, Venice, Marina Del Rey, Westwood/West LA, and Los Angeles area. Naheed holds numerous certifications with the athletic and fitness elite through AFAA, Equinox, Virgin Active, Reebok, and more. She is also certified at the 300-hour Yoga Alliance recognized level with Annie Carpenter/SmartFlow Yoga and CorePower Yoga, and has studied and practiced endlessly with LA’s finest teachers. As an athlete in competitive sports like track, soccer, and gymnastics, Naheed naturally gravitated towards fitness and yoga at an early age and began teaching in 1996. She teaches a variety of invigorating classes involving metabolic/interval training, plyometrics, calisthenics, martial arts/cardio kickbox, hand-balancing, and functional training. Her yoga teaching includes traditional Vinyasa and Ashtanga based practice with creative fusions of her signature style Yoga Core and Acrobatic Flow. Her classes include essentials and foundation for building a practice that includes inversions, handstands, arm-balances, and backbends, and further emphasize Restorative/Yin components of breath, pranayama, recovery and restoration. Naheed is also an avid acrobat specializing in hand-balancing, partner-based acrobatics and yoga, high flying acrobatics, and other gymnastics-based routines such as the flying rings. She regularly performs and leads groups and individuals in acrobatics and performance tricks at Santa Monica Muscle Beach and incorporates these teachings into her specialty classes and workshops. Known for her contagious energy and enthusiasm, Naheed draws upon each of her specialties to design classes and programs to inspire and empower her students to use their mind-body awareness to reach heightened levels of fitness, health, and state of mind. Her methods are infused with practical information to educate her clients to intuitively listen to their bodies and minds to achieve fitness, health, and general wellness. While she passionately pursues the power of strength, exertion and effort, she equally emphasizes the need for upkeep and balance with proper nutrition, rest, and rejuvenation. To that end, each of her disciplines incorporates opening and restorative phases to promote openness of the body, healthy tissue regeneration, prevention of injury, and calming of the mind. Her knowledge of therapeutics, myofascial release, and neuromuscular feedback are revered as invaluable techniques to maintaining lifelong practice of any discipline. Her classes are accessible, challenging, and inspiring to every level, from the first time beginner to the experienced practitioner. Naheed holds graduate degrees in law, business, international development, and health policy. Born and raised on the East Coast, Naheed has lived, worked, studied, and traveled throughout the US, Europe, Africa, Southeast Asia, and Central America. She believes that each of her experiences contributes largely towards her approach to health and wellness and, ultimately how she shares that with others. The Ultimate Fitness, Acrobatics, AcroYoga Workshop will include 4 Themed Workshops in various body movement modalities and specialized yoga & acrobatic skills training. Students will learn essential techniques to build the foundation from which to further develop and refine skills in the following categories: Acroyoga/Partner Yoga, Acrobatics, Inversions, Arm Balances, Handstands & Hand-Balancing, Body Weight Training, Functional Fitness, Interval Training, and Body Rolling Therapy for Myofascial Release. Students are free to take whatever classes they choose. Students will learn and explore an assortment of body movement modalities in fitness, body weight training, acrobatics, and acroyoga. Training will last approximately one and a half to two hours per session. The beginning part of class will involve the breakdown of tools and techniques in the themed workshop of the day, followed by either a musically-themed master class (i.e. body weight training, cardio/interval training) or open-play format (i.e. acrobatics, hand-balancing, acroyoga/partner-yoga) to explore and practice the specific themed body movement modality of the day. Each session will give ample opportunity to move, strengthen, condition, and flow. The class environment will be fun, playful, and encouraging. Form, technique, and injury prevention tips will be incorporated to keep students safe and supported. Appropriate instruction and modifications will be given to suit the level of each student. Whether you want to learn new skills, get ridiculously fit, unleash your creative potential, or refine your current practice, this workshop can accommodate you. 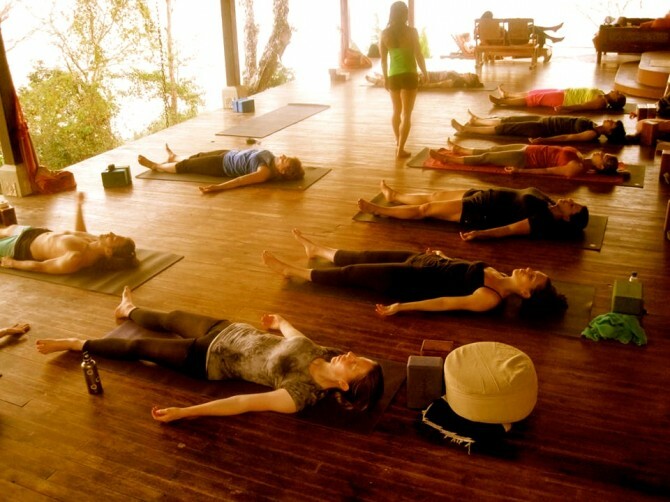 Expect to sweat, move, laugh, and feel empowered as you condition and flow in a lush and stunning tropical environment! The rest of your day will be free to enjoy the rich diverse nature of Costa Rica with activities like canopy tours, yoga, waterfall hiking, surfing, horseback riding, rock climbing, and much more. Or simply choose to lounge in the hammocks or by the infinity pools overlooking the ocean side cliffs, receive a spa treatment, or quietly read or catch up on restorative sleep. The price for this special workshop is $295. All levels of movement experience are welcome – no prior expertise is required! The Workshop is designed to be accessible and challenging to all levels, with plenty of options for both beginning and intermediate/advanced practitioners. If applicable on a given training, the group will be sorted by Levels so that every student can practice and refine his or her skills at the appropriate pace and level. Previous activities and experiences in yoga, fitness, cardio and strength conditioning, or acrobatics are helpful, but not required. Simply arrive in reasonable good health and with curiosity and desire to learn something new, refine your current skills, and explore the unknown.